Want to buy the right Garden Centre for the Canadian market? Read this! While the retail world increasingly moves online, brick and mortar garden centres remain relevant. People wanting to buy plants seem to prefer visiting a physical store so that they can see the plants that they want to buy. When it comes to plants, customers also want advice about what to buy, where to plant and how to look after their gardens. If you are going to run a successful garden centre, you should have this kind of knowledge to pass on to customers and keep your shop relevant. A garden centre is also more than just a place to buy plants. If you find the right garden centre to buy, you can make your business a destination for families and couples. Many garden centres have cafes on their premises. This gives customers a reason to stay longer and, hopefully, shop more. Selecting the right business to buy can be difficult. You can narrow down your search by considering whether there will be the potential for a café at the garden centre if there isn’t already one. You should also think about what it is that would make your garden centre stand out from others and draw customers. You might want to host events or gardening courses. But, most importantly, your draw should be the plants that you sell. If these are extras that you want to offer, choosing a business to buy will mean making sure that there is space to do so. 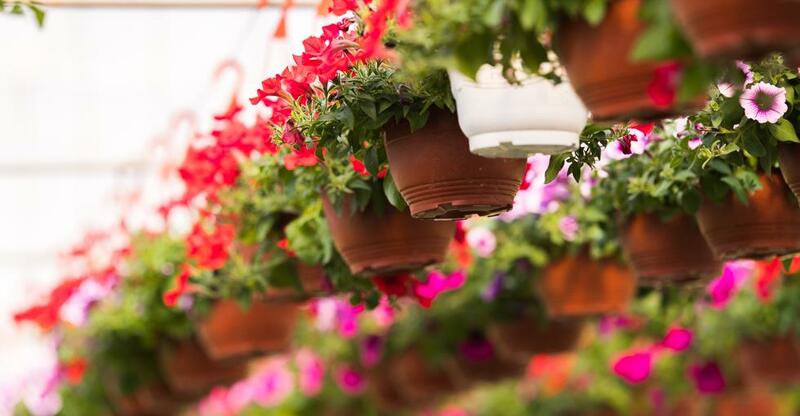 In Canada, garden centres can be a very seasonal business, therefore, offering these extras can ensure that you make money throughout the year. A garden centre needs to have a lot of stock if it is going to be appealing to customers. Stocking a business from scratch can be very pricey. When you are looking to buy a business, find out if the stock is included. If it is, you should make sure you know what kind of condition the plants are in! If you are going to buy a garden centre, there are some important skills that you should have. Good horticultural knowledge is one of these. Customers will be coming to you for advice about plants and you will need to be able to give them this advice. If you also stock other garden goods, it can also be a good idea to be able to give DIY advice. At the very least, you need to be passionate about plants and gardening but, if you are going to buy a garden centre, you should take some courses and improve your knowledge about plants. Knowing about plants will also help you to stock the right plants and keep them healthy and looking before you sell them. Having experience managing a garden centre is a really great way to start gaining knowledge about the industry before you buy your own place.